HOW TO : Gmail’s ‘Undo Send’ Mail Up to 30 Seconds. As we discussed you can undo a sent e-mail in Gmail. Google made the feature even better now.Initially it was a 5 seconds window to cancel the “Sent Mail“.Now that’s up to 30 seconds. That mean by setting up up-to 30 seconds you can stop mails up-to 30 seconds after hitting the “Send‘ button.You can recall the email which you have sent by mistake/accident. This is a really good improvement. Preview Gmail Mail Messages Without Opening It? Look in the top-right corner of the page between e-mail address and Settings and click on the green Labs icon. Find the Undo Send and enable it. Click on Save Changes. Now Click on the General tab and find the Undo Send option and select the time duration. Gmail by default waits a 10-second during which you may undo a sent e-mail. You can change that to five, 20 or 30 seconds in the settings as shown above. 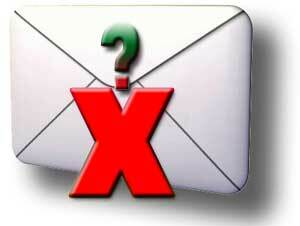 Now compose a new mail and click send. The Undo option appears as below. This will be available for the time duration you have set. If you click “Undo” you will be aken back to ‘Compose” and the mail will be in draft form.